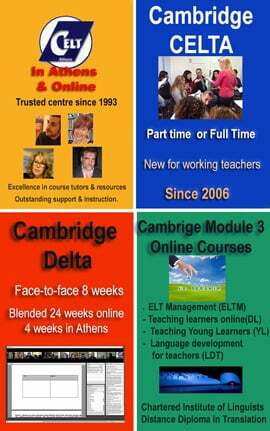 South of Athens – special rates for CELT trainees in flats in Nea Smyrni. Anyroom Anywhere This link includes some quite reasonably priced hotels. Learn4Good is a complete guide to Schools, Colleges, Jobs, Hostels & Travel.